- Shampoo: 200ml/ 6.8fl.oz. ; Conditioner: 200ml/ 6.8fl.oz. ; Finishing Serum: 200ml/ 6.8fl.oz. 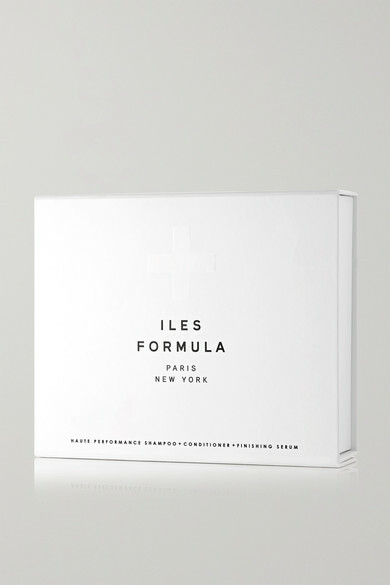 Dubbed the "red carpet rescue kit", Iles Formula's gift box includes products made using the brand's signature high-performance repair and care ingredients for soft and frizz-free hair. Each one is lightly scented with delicate white flowers.